Track specialist Jennifer Valente of Sho-Air TWENTY20 Cycling scored a powerful hometown victory in the opening stage of Colorado Classic in Colorado Springs, showing that last week’s National Track Titles were the perfect tune-up for today’s fast 61km course. Valente sprinted out of the fast charging peloton to win by more than a wheel margin. “It’s a unique opportunity to have a race of this caliber at home and it was cool to be racing the same roads I train on. The course had some step pitches in it with the QOM and then Mesa Rd. The team did a great job of making sure I made it over those near the front and safe. Going into the finishing circuits there was a lot of reshuffling which continued into the sprint. It was a long way to go being able to see the finish line so having a balance of patience and staying at the front paid off,” said Valente. “Last weekend on the track was the perfect speed work for today. Valente has spent more time on the road this season, building her endurance speed. With victory in the Andersen Banducci criterium in Boise, Idaho, and a fifth place overall in the Cascade Cycling Classic, Valente has shown versatility and ability to balance the two cycling disciplines of road and track. The team’s General Manager Nicola Cranmer believes the teamwork of the group as a whole really gives Valente the confidence to tap her speed in the finale. Valente sports the leader jersey tomorrow as the race heads to high altitude of Breckenridge. The course featured 5 laps and a rolling terrain, and will look for the climbers to show. The Colorado Classic Roster includes Jennifer Valente, Allie Dragoo, Leah Thomas, Steph Roorda, Sofia Arreola and Shayna Powles. 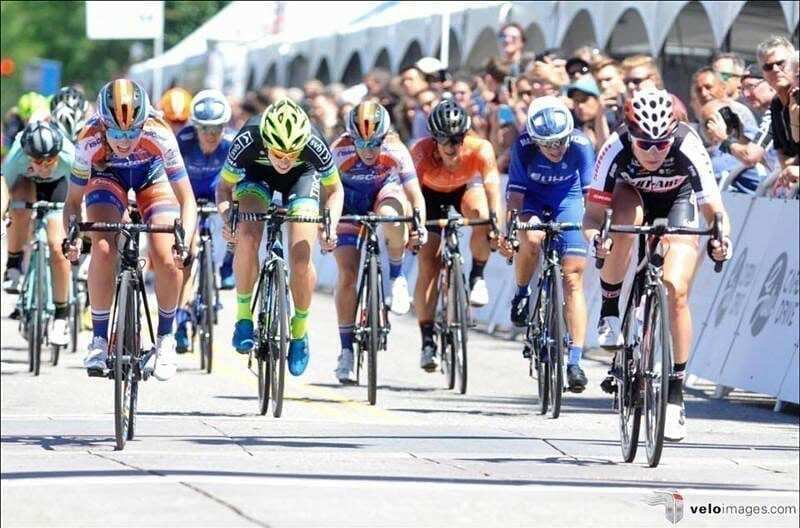 Jennifer Valente of Sho-Air TWENTY20 Cycling has fine-tuned the balance of track racing and road racing, showcasing this month between multiple national championship wins and UCI road racing. Valente won the Omnium Gold, Scratch and Points race gold at the recent USA National Track Cycling Championships, coming off a strong win at Boise Twilight Criterium. With her performances at Nationals, Valente has been named to the Pan American Track Championships ) team for USA Cycling. The event is August 30 – September 3 in Couva, Trinidad & Tobago. “As a program we have always been able to accommodate the multi- disciplined athlete. Creating balance between track and road can be challenging but with the omnium now being four endurance events, it’s even more essential that Jenn build her road miles. On an international level many of the top contenders compete on the road as well,” added Cranmer.